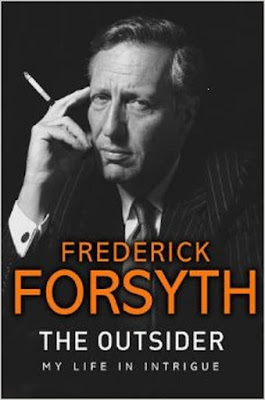 Elise Cooper at the American Thinker offers an interview with Frederick Forsyth, author of the classic thriller The Day of the Jackal and The Outsider: My Life in Intrigue. 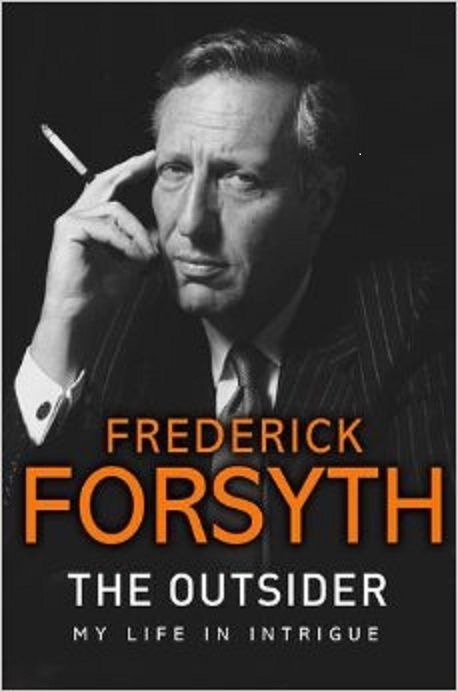 When reading Frederick Forsyth's The Outsider, people may wonder if art imitates life or if it is the other way around. This memoir is not an autobiography of the prolific writer, since it is a series of recollections and not a chronological narration. It's as if a family member is sitting there, telling his life experiences. Unfortunately, this will be Forsyth's last book, because he is retiring. American Thinker had the privilege of discussing with Forsyth his life and the book based upon it. Although this book reads more like a thriller, readers get a glimpse of those events and personalities Forsyth has come in contact with. He noted to American Thinker, "I consider myself a journalistic writer, keeping to the facts and making sure they are accurate. I do not write much emotional stuff or fancy language. My books were all contemporary current affairs based on what I had seen. Hell, I made mistakes and have done so many things I chose to write about them, or maybe not."